The stunning beauty of Southeast Asia continues to enchant travellers year after year. Here are 7 of the most beautiful places in Southeast Asia you may never want to leave! Never been to Southeast Asia before? Well you're certainly missing out! Most people to travel to Southeast Asia to experience the culture, the food, and the affordability. What many people don't realise is that these countries are incredibly beautiful, and you can easily get lost in the amazing scenery and wildlife. Once you've travelled to Southeast Asia for the first time, you'll quickly realise what a breathtaking region it is. There are so many things for you to see and do that you will never get bored. Sounds invigorating, doesn't it? Here are some of the places in Southeast Asia that are so beautiful, you may just be tempted to move there for good! Chiang Mai is home to misty mountains and lively nightlife, located in the northern mountainous region of Thailand. Originally founded in 1296, Chiang Mai was the capital of the Lanna Kingdom until 1558, and you can still see many of the historic walls and moats from that time today. There are hundreds of Buddhist temples to be found in Chiang Mai, including 14th and 15th century buildings adorned beautiful serpent carvings. There are waterfalls galore if you don't mind getting wet, or you can visit on of the many nature parks where native elephants can be seen roaming around. For more structured scenery, the Mae Se Orchid Farm, where you fill find orchids of every colour, size, and design, and the Tweechol Botanic Gardens, provide beautiful, sculpted greenery. There are a wide selection of national parks and forests to explore here, including Doi Inthanon, Pha Chor, Op Khan, and many more. Spend your days wandering through misty rain forests or hiking up mountainous paths in Chiang Mai. 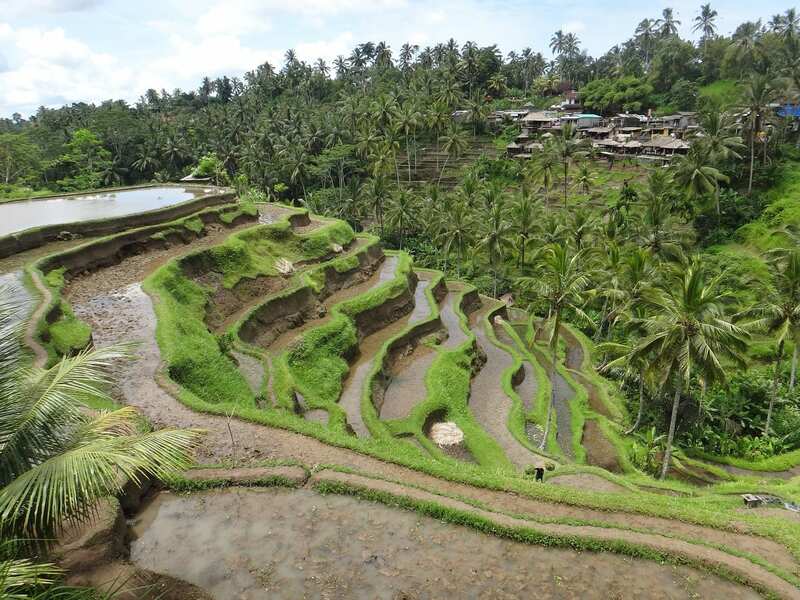 Known for it's forested volcanic mountains, this Indonesian island is home to rice paddies, beaches, and coral reefs. 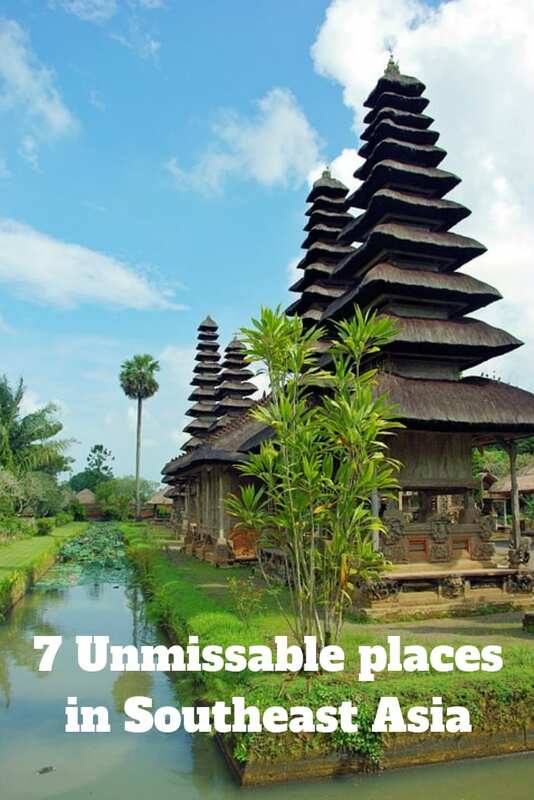 Bali is many traveller's favourite spot thanks to its tropical climate and affordable lifestyle. But what many people might not know is how beautiful Bali is. There are endless possibilities for places to explore and things to do. You can spend lazy days relaxing on the beaches, visit the local temples to get an insight into the culture, or explore the vast array of wildlife in the area. Visit the Sacred Monkey Forest Sancuary in Ubud to get up close and personal with the native wildlife surrounded by nature, or head to Gunung Kawi, one of Bali's oldest and largest ancient monuments. From the capital of Denpasar, you can head out to explore any of the many towns and cities depending on your preference. Kuta is known for its lively bars, while Seminyak, Sanur, and Nusa Dua are more popular tourist destinations. You can find breathtaking scenery everywhere though, as well as many spots to relax and unwind. Well-known for it's zen atmosphere, there are a range of spas, retreats, and beaches where you can simply soak up the sun and spend your days relaxing. Boracay is a small island in the Philippines, and is home to over 28,000 people. It is one of the country's most popular tourist destinations, and it isn't hard to see why. Boracay is a dazzling tropical paradise, with soft white sand and unreal turquoise water on its many beaches. There is a thriving party scene which typically carries on throughout the night, and you can meet people from all walks of life. The locals themselves are very friendly, and extremely hospitable. Boracay also has a delicious food scene, with plenty of cafes and restaurants. There is also an abundance of exciting street food, with meat skewers, barbecue and seafood. 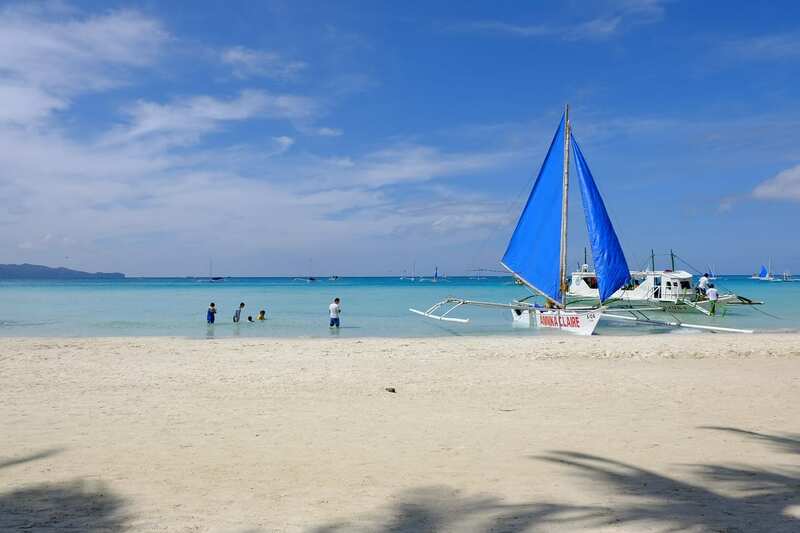 The climate in Boracay is tropical, with generally warm weather alternating between hot and dry, and hot and wet. As for things to do, you will never get bored in Boracay. There are endless amounts of water activities to participate in, like swimming, boating, fishing, kite surfing and scuba diving. It's a beach lover's shangri-la. 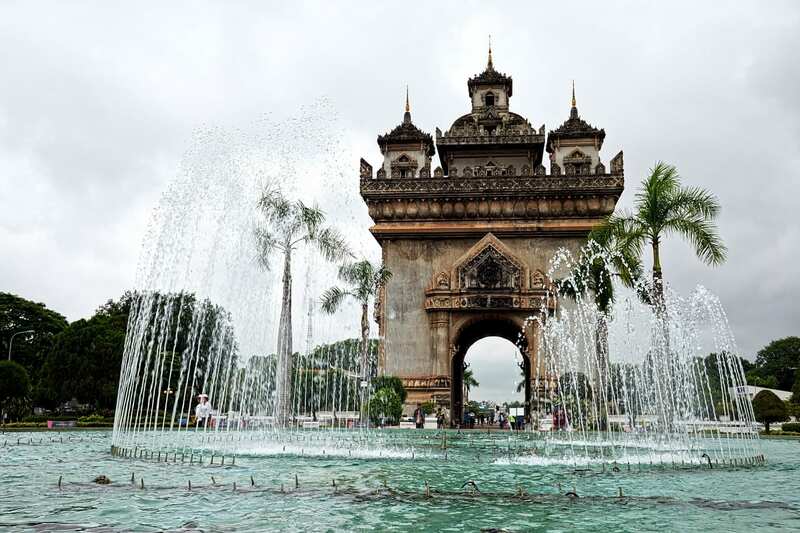 As the capital of Laos, Vientiane has much to offer the locals. With a mixture of French-colonial architecture, Buddhist temples, and tree-lined streets, this city is the perfect home for anyone who wants to live surrounded by beautiful scenery. You can easily navigate through most of Vientiane by foot thanks to its size, or use a bike or song-teow if you're not keen on walking. Most streets look out onto rice paddies, giving the area a very relaxed atmosphere. People here are incredibly laid-back, so don't expect everything to be running on time. Vientiane is the perfect place to sit back, relax, and enjoy the beautiful scenery. Just outside of Vientiane is Buddha Park, known for housing over 200 elaborate religious statues and sculptures. The Vientiane Great Stupa is also an impressive sight as the most sacred monument in the whole of Laos, and one of the most beautiful. 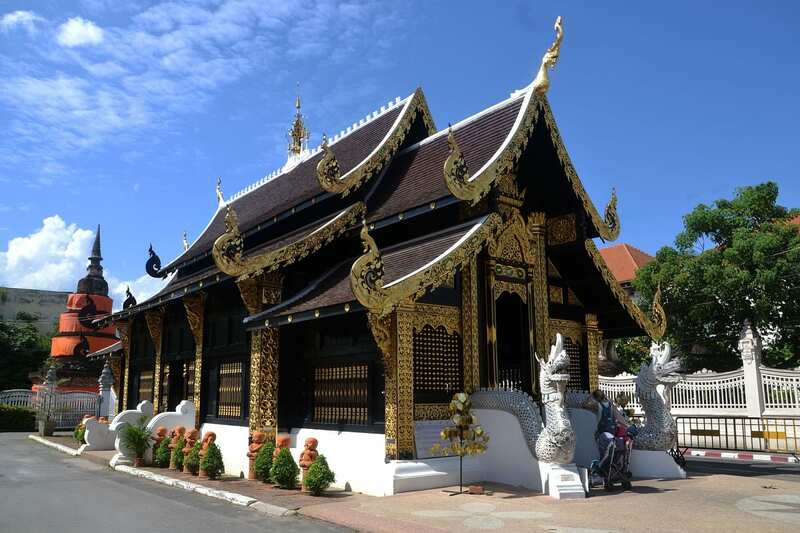 Near the centre of the city you will find Wat Ho Phra Keo, a stunning Buddhist temple dating back to around 1565. There are so many beautiful buildings and places to explore here that you will definitely never get bored. The bustling capital of Cambodia is a surprisingly beautiful place to live. 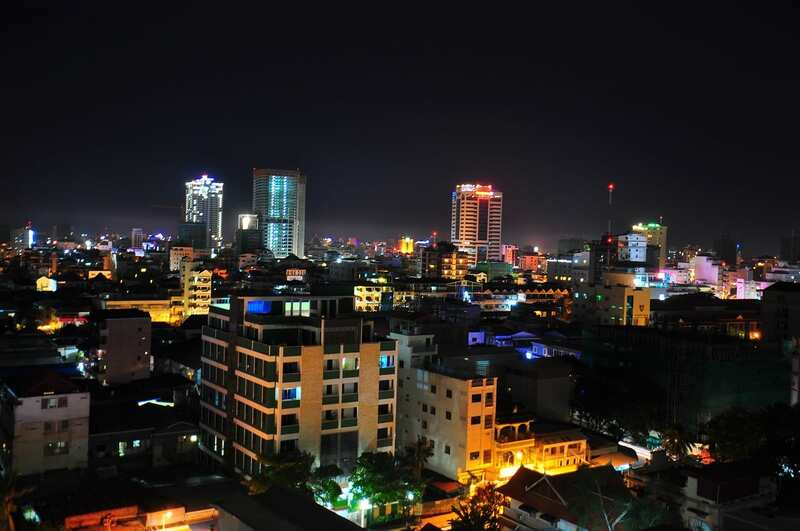 In recent years Phnom Penh has undergone drastic changes that have allowed it to be considered among some of the most hip capitals in the region, with a world-class food scene, alluring cafes, and trendy bars. Located on the banks of the Mekong River, Phnom Penh is a very scenic city, with a riverfront lined with parks, restaurants and bars. The Royal Palace dominates the skyline of Phnom Penh as a striking building located near the riverfront. Parts of the palace are closed to the public, but the adjacent Silver Pagoda, also known as the Temple of the Emerald Buddha, is also open to the public. With Italian marble stairs and crystal sculptures, this temple is certainly something you don't want to miss. A life-sized lavish Buddha created in the palace between 1906 and 1907 is another lavish addition to this temple,. The incredible sights of Phnom Penh are just on your doorstep in this city. The Cameron Highlands are a district in Pahang, Malaysia, with a population of over 33,000. Travelling around The Cameron Highlands is simply a breath-taking experience. It has an unbelievable ocean of rolling green tea plantations that will leave you feeling like you are in a dream. The Cameron Highlands are located up to 1600 metres above sea level, and this makes it very different to the rest of Malaysia. 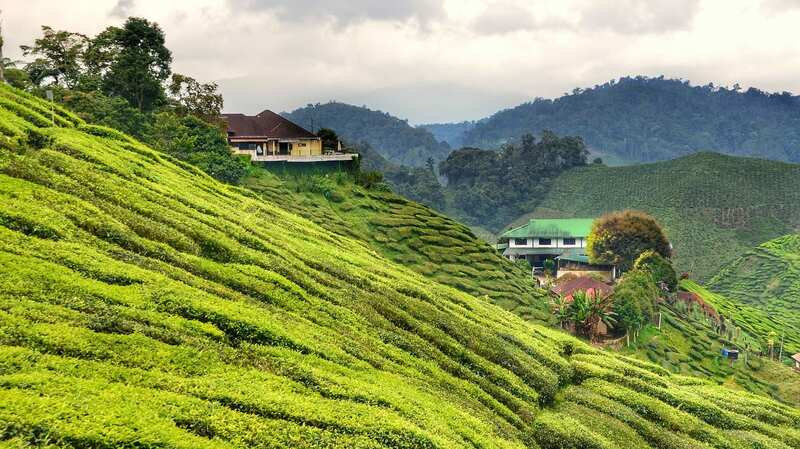 There are many interesting cultural things to do in The Cameron Highlands, including exploring the many temples, strawberry, bee and butterfly farms, villages and the tea estates. You can find yourself immersed completely in nature and relax by walking along the trails that can take you to waterfalls and phenomenal views of the sunset. The climate in The Cameron Highlands is generally cool all year round, making it very pleasant for outdoor activities and the lush growth of flora and fauna. In the world of travel, little is spoken of Brunei, with most travellers visiting more famous neighbours Indonesia and Malaysia. Bandar Seri Begawan is the capital city of Brunei, with a population of around 100,700. There are many things to see and do in this highly underrated city, such as visiting the stunning architectural masterpiece, the Sultan Omar Ali Saifuddin Mosque. Other incredible sights to see include the various exquisite mosques, museums, beaches and the surrounding nature. Brunei is a Muslim nation with rich cultural history, and you will probably hear the sound of prayer first thing in the morning. Bandar Seri Begawan has a tropical rainforest climate, which sees the city being primarily hot and wet. While Brunei doesn't have its own definite cuisine, it features dishes from all over the world, including close neighbours Malaysia and Thailand. The street food scene is heavenly, with unique desserts and Southeast Asian delicacies with a Bruneian twist. Overall, Bandar Seri Begawan is a beautifully underrated place to visit. With so many beautiful places to see and explore, you can easily see why Southeast Asia is such a popular place to visit and maybe even move to. You will constantly be at awe of the incredible surroundings here, and there will never be a dull day with so many new experiences to participate in. Southeast Asia is a highly underrated place to live, and if you ever get the opportunity, you should definitely give it a go. It's now cheaper than ever to travel to South East Asia! A number of budget airlines are breaking into the long haul market, connecting Europe and Asia. I recently flew Scoot Athens to Singapore for less than 170 Euro! You can check out what I got up to in my Singapore travel blog.